On June 12 2015, the University of Birmingham will host an international conference, entitled “Controlling Crypto-currencies”. Update: Video Recordings of all keynote sessions are now available to watch online – Click Here. The purpose of the conference is to bring together practitioners, stakeholders, financial regulators, and academics to discuss the most important issues raised by crypto-currencies, with a view to creating a solid research platform to inform emerging regulatory and private law frameworks. Topics will include: jurisdiction, asset-seizure, money-laundering, computer security, private law control and economic stability. 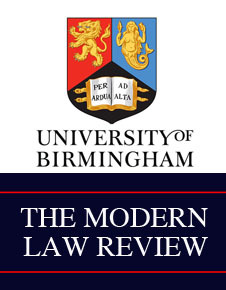 We are extremely grateful to the Modern Law Review for providing support for the conference as part of its annual seminar series.